Strobe will a series exploring visual distortions and disorientation that can be experienced in nightclubs, caused by altered perception and sensory overload from stimuli such as flashing strobe lights, claustrophobic darkness, dancing, alcohol and drugs. Artworks in this series will be a radical departure from the format of the single-piece square artworks that that have become a signature of Mark Willcox's previous work. Work in this series is to be produced. 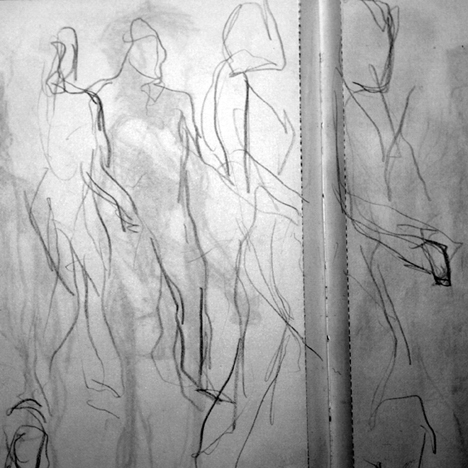 In the meantime, the images in this gallery are sketch studies of human motion.